Description: "Ascensia Diabetes Care has partnered with yet2 to launch the Ascensia Diabetes Challenge – A GLOBAL INNOVATION COMPETITION. 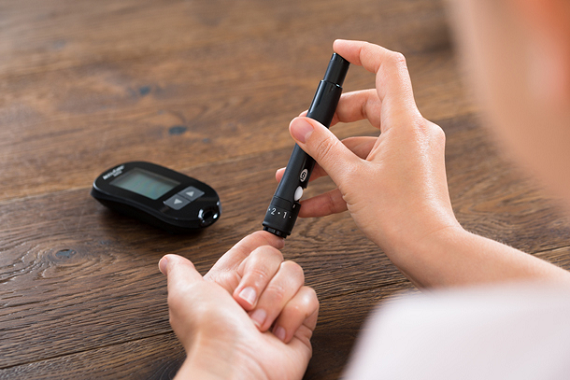 We are seeking submissions for innovative digital solutions that can genuinely change behavior and improve the lives of people with type 2 diabetes. We want to support companies who are developing the next big leap forward in digital solutions for self-management of type 2 diabetes." Description: "The Challenge is a world-wide competition run by T1D Exchange to identify, nurture and fast-track innovative scientific and clinical solutions for diabetes." Description: "Amazon voice-enabled solutions have the potential to be a new partner for this journey. As voice technology transforms the way we live, could it shift from helping manage playlists to helping manage disease? The Alexa Diabetes Challenge invites you to be among the first to explore how voice-enabled solutions and the ecosystem of supporting cloud technologies provided by Amazon Web Services can improve the experience of those newly diagnosed with type 2 diabetes." Prize: Total cash prize pool of $250,000. Up to five finalists receive $25,000, and one grand prize winner receives $125,000. Description: "The event begins with an Exhibitor Showcase with 50+ HealthTech startups doing tabletop presentations of their technology or innovation, followed by a luncheon where the top 3 companies do a short presentation to a panel of judges and the audience, followed by the audience vote and a winner for the most innovative start-up of the day." Description: "Create A Digital Tool That Supports Diabetic Health Maintenance"
Prize: Selected finalist(s) are eligible to receive a cash prize of up to $36,000, as well as the opportunity to receive in-kind prizes, such as free co-working space, a spot on a startup accelerator program, and more items, subject to availability. Selected finalist(s) may also be selected by one or more of the challenge supporters to participate in a pilot, co-development or other business relationship.